On November 22, 1963, three shots rang out in Dallas, President Kennedy died, and the world changed. What if you could change it back? In this brilliantly conceived tour de force, Stephen King - who has absorbed the social, political, and popular culture of his generation more imaginatively and thoroughly than any other writer - takes listeners on an incredible journey into the past and the possibility of altering it. It begins with Jake Epping, a 35-year-old English teacher in Lisbon Falls, Maine, who makes extra money teaching GED classes. He asks his students to write about an event that changed their lives, and one essay blows him away: a gruesome, harrowing story about the night more than 50 years ago when Harry Dunning's father came home and killed his mother, his sister, and his brother with a sledgehammer. Reading the essay is a watershed moment for Jake, his life - like Harry's, like America's in 1963 - turning on a dime. Not much later his friend Al, who owns the local diner, divulges a secret: his storeroom is a portal to the past, a particular day in 1958. And Al enlists Jake to take over the mission that has become his obsession - to prevent the Kennedy assassination. So begins Jake's new life as George Amberson, in a different world - of Ike and JFK and Elvis, of big American cars and sock hops and cigarette smoke everywhere. From the dank little city of Derry, Maine (where there's Dunning business to conduct), to the warmhearted small town of Jodie, Texas, where Jake falls dangerously in love, every turn is leading, eventually of course, to a troubled loner named Lee Harvey Oswald and to Dallas, where the past becomes heart-stoppingly suspenseful - and where history might not be history anymore. Time-travel has never been so believable. Or so terrifying. Welcome children of Earth, do not be afraid. After a devastating car crash leaves her addicted to pain pills and her best friend dead, Meredith Gale has finally been pushed beyond her breaking point. Now, ending her life seems like the only way out, and that choice has left her dangling by her fingertips from a bridge high above the freezing water of the San Francisco Bay. But someone, or something, has other plans for Meredith. As her fingers slip from the cold steel of the bridge, a disembodied voice asks her a simple question: "Candidate 13: Do you wish to be saved?" Realizing her mistake too late, Meredith screams "Yes!" and instantly finds herself transported to a mysterious island, alongside hundreds of other Candidates like her, each pulled from human history with seemingly little in common. But when Meredith stumbles across a cryptic message meant only for her, she uncovers an even bigger mystery - a mystery that places the fate of humanity's future firmly in her hands. With the help of her new companions, Meredith sets out on an impossible journey to find the one person who can solve the riddle of why they were brought to this strange, alien Earth...assuming they can survive the dangers that lurk within this new world and the dark forces massing against them. Check out the first audiobook in the This Alien Earth Series, a futuristic adventure perfect for fans of Jeremy Robinson, Stephen King, and Lost. 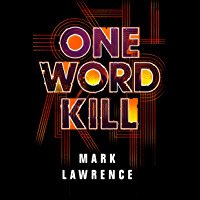 Ready Player One meets Stranger Things in this thrilling new novel by bestselling author Mark Lawrence. In January 1986, fifteen-year-old boy-genius Nick Hayes discovers he's dying. And it isn't even the strangest thing to happen to him that week. Nick and his Dungeons & Dragons-playing friends are used to living in their imaginations. But when a new girl, Mia, joins the group and reality becomes weirder than the fantasy world they visit in their weekly games, none of them are prepared for what comes next. A strange - yet curiously familiar - man is following Nick, with abilities that just shouldn't exist. And this man bears a cryptic message: Mia's in grave danger, though she doesn't know it yet. She needs Nick's help - now. He finds himself in a race against time to unravel an impossible mystery and save the girl. And all that stands in his way is a probably terminal disease, a knife-wielding maniac and the laws of physics. Challenge accepted. To save his daughter, he'll go anywhere--and any-when...Kin Stewart is an everyday family man: working in IT, trying to keep the spark in his marriage, struggling to connect with his teenage daughter, Miranda. But his current life is a far cry from his previous career...as a time-traveling secret agent from 2142.Stranded in suburban San Francisco since the 1990s after a botched mission, Kin has kept his past hidden from everyone around him, despite the increasing blackouts and memory loss affecting his time-traveler's brain. Until one afternoon, his "rescue" team arrives--eighteen years too late.Their mission: return Kin to 2142, where he's only been gone weeks, not years, and where another family is waiting for him. A family he can't remember.Torn between two lives, Kin is desperate for a way to stay connected to both. But when his best efforts threaten to destroy the agency and even history itself, his daughter's very existence is at risk. It'll take one final trip across time to save Miranda--even if it means breaking all the rules of time travel in the process.A uniquely emotional genre-bending debut, Here and Now and Then captures the perfect balance of heart, playfulness, and imagination, offering an intimate glimpse into the crevices of a father's heart and its capacity to stretch across both space and time to protect the people that mean the most. NEW SOLO NOVEL BY ERIC FLINT IN THE BEST-SELLING RING OF FIRE SERIES!The Ottoman Empire has captured Vienna and is now laying siege to the Austrian government-in-exile established in the city of Linz. Both the United States of Europe and the Kingdom of Bohemia have come to Austria's assistance, but everyone knows this is going to be a long and brutal struggle.In order to relieve the pressure on the Austrians, General Mike Stearns proposes to open a second front in the Levant. The USE's emperor Gustavus Adolphus gives his approval to the plan, and Mike sets it in motion, with the very capable assistance of his wife Rebecca Abrabanel, now the USE's Secretary of State.Meanwhile, Poland is coming to a boil. Gretchen Richter, the newly elected chancellor of Saxony, has seized control of Lower Silesia. Her small army is now approached to form an alliance with the Polish revolutionaries who have seized power in the Ruthenian province of Galicia--which, in the universe the time-displaced Americans of Grantville came from, would have constituted the western Ukraine.Now, the Bohemians send an army led by Morris Roth into Poland, ostensibly to aid the revolutionaries but also with the goal of expanding King Albrecht Wallenstein's growing empire in eastern Europe. And--the icing on the cake--Mike Stearns sends the Hangman Regiment of his Third Division under the command of Jeff Higgins to reinforce Jeff's wife Gretchen in Silesia.The maelstrom in Poland grows . . . and grows . . . and grows . . .Will it drag all its displaced Americans and their allies down with it?At the publisher's request, this title is sold without DRM (Digital Rights Management).About 1635: A Parcel of Rogues:"The 20th volume in this popular, fast-paced alternative history series follows close on the heels of the events in The Baltic War, picking up with the protagonists in London, including sharpshooter Julie Sims. This time the 20th-century transplants are determined to prevent the rise of Oliver Cromwell and even have the support of King Charles." --Library JournalAbout 1634: The Galileo Affair:"A rich, complex alternate history with great characters and vivid action. A great read and an excellent book." --David Drake"Gripping . . . depicted with power!" --Publishers WeeklyAbout Eric Flint's Ring of Fire series:"This alternate history series is . . . a landmark..."--Booklist"[Eric] Flint's 1632 universe seems to be inspiring a whole new crop of gifted alternate historians."--Booklist" . . . reads like a technothriller set in the age of the Medicis . . . "--Publishers WeeklyEric Flint is a modern master of alternate history fiction, with over three million books in print. He's the author/creator of the multiple New York Times best-selling Ring of Fire series starting with first novel 1632. With David Drake he has written six popular novels in the "Belisarius" alternate Roman history series, and with David Weber collaborated on 1633 and 1634: The Baltic War and latest Honorverse series entry Cauldron of Ghosts. Flint's latest Ring of Fire novel is 1636: The Ottoman Onslaught. Flint was for many years a labor union activist. He lives near Chicago, Illinois. 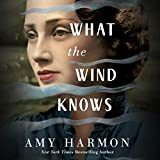 Audiobook releases April 23Everyone knew time travel was impossible. Then reality intruded.A dying man stumbles into a police station and collapses. In his fist is a mysterious coin with strange markings. He tells the police he's from the future, and when they uncover the coin's hidden message they're inclined to believe him.Daniel Rice never asked for fame but his key role in Earth's first contact with an alien civilization thrust him into a social arena where any crackpot might take aim. When the FBI arrives at his door and predictions of the future start coming true, Daniel is dragged into a mission to save the world from nuclear holocaust. To succeed, he'll need to exploit cobbled-together alien technology to peer into a world thirty years beyond his own.The third book of the Quantum series goes far beyond extra dimensions of space to expose the curious paradoxes of time in a wild ride along the edges of scientific knowledge. When you discover the world is a computer program, and you figure out that by altering the code you can time travel and perform acts that seem like magic, what can possibly go wrong? Pretty much everything. Just ask Brit, who has jumped around in time with such abandon that she has to coexist with multiple versions of herself. Now, Brit the Elder finds that her memories don't match Brit the Younger's. And there's the small matter of a glitch that's making Brit the Elder's body fritz out. Brit the Elder's ex-boyfriend Phillip wants to help her, but he'll have to keep it secret from his current girlfriend, Brit the Younger, who can't stand her future self. Meanwhile, Martin is trying to protect Phillip from a relentless attacker he somehow hasn't noticed; Gwen is angry because Martin accidentally proposed to her; Gary tries to help the less fortunate, with predictably disastrous results; and an old nemesis might have to be the one to save them all. In Out of Spite, Out of Mind, our fearless wizards discover the biggest glitch in their world's program may well be themselves. Klaus and Doris have just made the discovery of their lives - a complete Neanderthal skeleton buried in a newly opened sinkhole. But on removing it, something else tumbles free. Something that switches on, and then calls home.Soon the owners are coming back, and nothing will stop their ruthless search for their lost prize.Gruesome corpses begin to pile up, and Detective Ed Heisner of the Berlin Police is assigned to a case like nothing he has ever experienced before in his life. Heisner must stay one step ahead of a group of secretive Special Forces soldiers also tracking the strange device, while trying to find an unearthly group of killers that are torturing, burning, and obliterating their victims all the way across the city.THE FOSSIL is a time jumping detective novella where humans soon find that time can be the greatest weapon of all. * THE FOSSIL first appeared in SNAFU No.1 (2014) as a short story. Due to numerous requests, it has now been expanded and released here in its complete, stand-alone novella form. The visionary author's masterpiece pulls us--along with her Black female hero--through time to face the horrors of slavery and explore the impacts of racism, sexism, and white supremacy then and now.Dana, a modern black woman, is celebrating her twenty-sixth birthday with her new husband when she is snatched abruptly from her home in California and transported to the antebellum South. Rufus, the white son of a plantation owner, is drowning, and Dana has been summoned to save him. Dana is drawn back repeatedly through time to the slave quarters, and each time the stay grows longer, more arduous, and more dangerous until it is uncertain whether or not Dana's life will end, long before it has a chance to begin. Collecting books can be a dangerous prospect in this fun, time-traveling, fantasy adventure--the first in the Invisible Library series! One thing any Librarian will tell you: the truth is much stranger than fiction... Irene is a professional spy for the mysterious Library, a shadowy organization that collects important works of fiction from all of the different realities. Most recently, she and her enigmatic assistant Kai have been sent to an alternative London. Their mission: Retrieve a particularly dangerous book. The problem: By the time they arrive, it's already been stolen. London's underground factions are prepared to fight to the death to find the tome before Irene and Kai do, a problem compounded by the fact that this world is chaos-infested--the laws of nature bent to allow supernatural creatures and unpredictable magic to run rampant. To make matters worse, Kai is hiding something--secrets that could be just as volatile as the chaos-filled world itself. Now Irene is caught in a puzzling web of deadly danger, conflicting clues, and sinister secret societies. And failure is not an option--because it isn't just Irene's reputation at stake, it's the nature of reality itself...FEATURING BONUS MATERIAL: including an interview with the author, a legend from the Library, and more! One of the Ten Best Books of The New York Times Book Review Winner of the Los Angeles Times Book Prize Now a miniseries from Hulu starring James FrancoON NOVEMBER 22, 1963, THREE SHOTS RANG OUT IN DALLAS, PRESIDENT KENNEDY DIED, AND THE WORLD CHANGED. WHAT IF YOU COULD CHANGE IT BACK? In this brilliantly conceived tour de force, Stephen King--who has absorbed the social, political, and popular culture of his generation more imaginatively and thoroughly than any other writer--takes readers on an incredible journey into the past and the possibility of altering it. It begins with Jake Epping, a thirty-five-year-old English teacher in Lisbon Falls, Maine, who makes extra money teaching GED classes. He asks his students to write about an event that changed their lives, and one essay blows him away--a gruesome, harrowing story about the night more than fifty years ago when Harry Dunning's father came home and killed his mother, his sister, and his brother with a sledgehammer. Reading the essay is a watershed moment for Jake, his life--like Harry's, like America's in 1963--turning on a dime. Not much later his friend Al, who owns the local diner, divulges a secret: his storeroom is a portal to the past, a particular day in 1958. And Al enlists Jake to take over the mission that has become his obsession--to prevent the Kennedy assassination. So begins Jake's new life as George Amberson, in a different world of Ike and JFK and Elvis, of big American cars and sock hops and cigarette smoke everywhere. From the dank little city of Derry, Maine (where there's Dunning business to conduct), to the warmhearted small town of Jodie, Texas, where Jake falls dangerously in love, every turn is leading eventually, of course, to a troubled loner named Lee Harvey Oswald and to Dallas, where the past becomes heart-stoppingly suspenseful, and where history might not be history anymore. Time-travel has never been so believable. Or so terrifying. Fix the past. Save the present. Stop the future. Master of science fiction Alastair Reynolds unfolds a time-traveling climate fiction adventure in Permafrost.2080: at a remote site on the edge of the Arctic Circle, a group of scientists, engineers and physicians gather to gamble humanity's future on one last-ditch experiment. Their goal: to make a tiny alteration to the past, averting a global catastrophe while at the same time leaving recorded history intact. 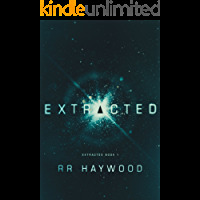 To make the experiment work, they just need one last recruit: an ageing schoolteacher whose late mother was the foremost expert on the mathematics of paradox.2028: a young woman goes into surgery for routine brain surgery. In the days following her operation, she begins to hear another voice in her head... an unwanted presence which seems to have a will, and a purpose, all of its own - one that will disrupt her life entirely. The only choice left to her is a simple one.Does she resist ... or become a collaborator?At the Publisher's request, this title is being sold without Digital Rights Management Software (DRM) applied. One choice. Two possible timelines. And a world hanging in the balance.It's the summer of 1986 and reluctant prodigy Nick Hayes is a student at Cambridge University, working with world-renowned mathematician Professor Halligan. He just wants to be a regular student, but regular isn't really an option for a boy-genius cancer survivor who's already dabbled in time travel.When he crosses paths with a mysterious yet curiously familiar girl, Nick discovers that creases have appeared in the fabric of time, and that he is at the centre of the disruption. Only Nick can resolve this time paradox before the damage becomes catastrophic for both him and the future of the world. 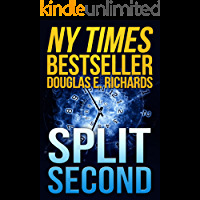 Time is running out--literally.Wrapped up with him in this potentially apocalyptic scenario are his ex-girlfriend, Mia, and fellow student Helen. Facing the world-ending chaos of a split in time, Nick must act fast and make the choice of a lifetime--or lifetimes.Game on. From the Hugo Award-winning author of The Stars Are Legion comes a brand-new science fiction thriller about a futuristic war.They said the war would turn us into light... The Light Brigade: it's what soldiers fighting the war against Mars call the ones who come back...different. Grunts in the corporate corps get busted down into light to travel to and from interplanetary battlefronts. Everyone is changed by what the corps must do in order to break them down into light. Those who survive learn to stick to the mission brief--no matter what actually happens during combat. Dietz, a fresh recruit in the infantry, begins to experience combat drops that don't sync up with the platoon's. And Dietz's bad drops tell a story of the war that's not at all what the corporate brass want the soldiers to think it is. Is Dietz really experiencing the war differently, or is it combat madness? Trying to untangle memory from mission brief and survive with sanity intact, Dietz is ready to become a hero--or maybe a villain; in war it's hard to tell the difference. A worthy successor to classic stories like Downbelow Station, Starship Troopers, and The Forever War, The Light Brigade is award-winning author Kameron Hurley's gritty time-bending take on the future of war. The Rift opens once again.The battle for Earth continues.Only the Eureka and her crew can turn the tides. The Eureka returns to Sol through the Rift as an extreme time dilation creates complications. With a familiar face now the Earth Fleet's Grand Admiral, Ace and the others struggle to acclimate to their new reality. When one of the heroes is captured by the Watchers, the others plan a rescue that hinges on the success of the entire war. To end the thirty-year endeavor, the Fleet must align with a longstanding enemy, but knowing who to trust isn't so simple. Join the crew of the Eureka as they fight to save Earth and its inhabitants in the epic third part of the Resistance series. The Rift has opened.The aliens invaded.The Eureka is on the other side.Flint, Wren, and Ace, along with Charles, are now members of the Eureka, a state-of-the-art vessel heading for a world in the far reaches of a new galaxy. Sixty years ago a colony ship was sent there, along with someone close to their benefactor. But when they arrive, they find getting to the surface isn't as easy as they thought. With a crash landing, and news that shocks the entire crew, they must collectively find a way to get the Pilgrim off-planet, and into the fight against the Watchers. One of the crew leaves from orbit, spelling betrayal, and the others know time is against them. They must create a virus and bring it to the enemy's home world, but not everything is as it seems. Join our heroes as they fight for the future, knowing an all-out war awaits them back home, on the other side of the Rift. Revenge> is an exciting tale of comradery, risks, infiltration, and surprise twists. A universe of adventure--All in one place. Can you outrun the past? Can you outlive the future? One time traveler must find out. Accidental time traveler, Ben Travers, is thrown into a multiverse of adventure in this action adventure through past and future. 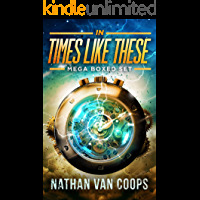 Experience the series that reviewers have called: "Fresh," "Surprising," and "easily the coolest time travel book I've ever read. "This compilation includes: Clockwise & Gone, In Times Like These, The Chronothon, The Day After Never, and The Warp Clock. There are over over 1,000 5 star reviews on the individual books. Now you can get them all in one place! 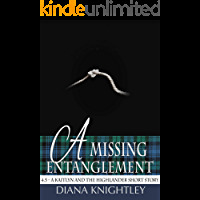 Download in Kindle Unlimited or purchase to own and save 48%. All the adventure, half the price. Start your time travel adventure today, because yesterday may be too late! In 2061, a young scientist invents a time machine to fix a tragedy in his past. But his good intentions turn catastrophic when an early test reveals something unexpected: the end of the world.A desperate plan is formed. Recruit three heroes, ordinary humans capable of extraordinary things, and change the future.Safa Patel is an elite police officer, on duty when Downing Street comes under terrorist attack. As armed men storm through the breach, she dispatches them all. 'Mad' Harry Madden is a legend of the Second World War. Not only did he complete an impossible mission--to plant charges on a heavily defended submarine base--but he also escaped with his life.Ben Ryder is just an insurance investigator. But as a young man he witnessed a gang assaulting a woman and her child. He went to their rescue, and killed all five.Can these three heroes, extracted from their timelines at the point of death, save the world?